At Dortmund Airport, various flight simulators from different suppliers are available, which can be booked for professional training purposes or just for trial flights. The charter company Star Wings operates a flight simulator of the type "Cessna Citation CJ3 Full Flight Simulator (Level D)" at Dortmund Airport. 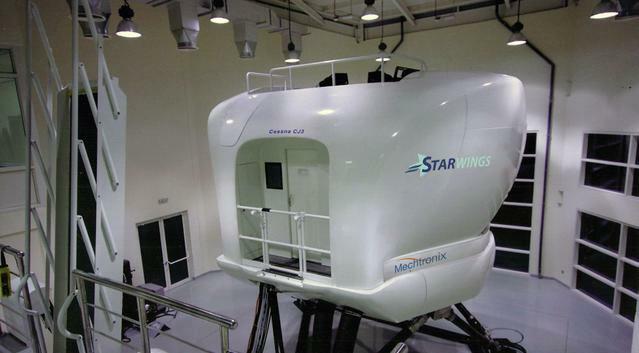 In this simulator, flight students and pilots can gather valuable experience for air traffic in almost real cockpit conditions. Hazardous situations and system failures, for example, can be simulated without danger, which would not be possible in the aircraft. The Flugausbildungszentrum Dortmund operates two state-of-the-art Redbird simulators, with which pilot trainees and pilots can complete realistic flying hours for training purposes. No previous knowledge or flying experience is necessary. Beginners and interested parties are just as welcome at the Flugausbildungszentrum Dortmund as professionals. Aviation novices initially receive instruction during which the most important instruments and functions are explained. As soon as the pilot is ready, the sightseeing flight can begin.